Vaping cannabinoids, like THC and CBD, is taking the world by storm. Vaping is thought to be much easier on your lungs. It's also a much more discreet activity than rolling up a joint and lighting up in public. Plus, vaping technology is constantly evolving. Because society is increasingly moving away from smoking, vaping could be the way of the future. Today, we'll peer into that future and look at the best vape pen for CBD oil and how to choose your perfect pen. Keep reading for the full CBD vape pen review! What is the Best CBD Oil Vape Pen? Unlike smoking cannabis, vaping requires absolutely no combustion. Instead of lighting up, a vaporizer heats an element inside the device to heat the cannabinoids to the perfect temperature. The atomizer, as its called, is carefully calibrated to ensure that nothing is burnt. This removes the risk of ingesting soot or other smoke particles through your lungs. When heated up, the water particles inside the oil evaporate, taking with it the cannabinoids. People have turned to vaping largely because they feel the technology is healthier for their lungs. Considering CBD is used exclusively for health purposes, it makes the most sense to vape instead of to smoke it. Cannabidiol (CBD) is one of the hundreds of compounds found in cannabis, but unlike THC, it doesn’t make you high. THC is actually the only molecule in marijuana that's going to get you baked. Everyone loves CBD these days, however, because of its many proven benefits. You may have heard of a CBD prominent strain of cannabis called Charlotte’s Web. It can reduce the strength and frequency of seizures in children. CBD is also a powerful anti-inflammatory. It may also reduce stress, anxiety, help with sleep, and many more issues. Unfortunately, finding a vape pen for CBD oil isn’t as easy as you’d expect. Just take a look at the legal landscape in the United States, it's complicated and convoluted. Currently, 28 states allow for recreational and medicinal access to marijuana. Another 17 have provisions for access to CBD extracted from cannabis. But if you buy hemp derived CBD, it's legal in all 50 states. Despite this, there are many hurdles to leap through in many of these states, which is why most consumers find their CBD vape pens online. Plus, buying online is often easier and cheaper. Yet, where can you turn for advice when browsing online? The range of vape pens on the market today run the gamut. There are options for everyone no matter budget or CBD product preference. Before you find the perfect vape pen for your own needs, you'll first need to determine a few subtle details and product technicalities. For example, if you prefer flavored vaping experiences, you’ll be sorely disappointed if you order a dab or concentrate focused vaporizer. And that is only one tiny choice to make! There are hundreds of options on the market today, making it hard for the novice vaper to make the right choice. Perhaps the most important decision to make before purchasing your first vape pen is deciding what you want to vape. Concentrated CBD oil is a much more medicinally powerful experience. But waxes, shatters and other dab products come containing high concentrations of CBD. Some people really dislike the taste of all-natural CBD products. It's earthy and doesn’t always make for the most appealing vape. That is when you might want to consider finding liquid based CBD pens. Often CBD e-liquids come in a variety of appealing flavors, like peppermint and lemon just to name a few. Another differentiating feature between brands is the energy source. Depending on how much you vape, and where you vape, you’ll want to consider this. Some vape pens come with removable batteries, but typically you’ll need to purchase a second battery to have a charged one handy. If you take your CBD vape pen on your commute, or when you travel, a USD charged pen could work much better. Having a USB charging vape pen makes the process simple, as you can plug the pen into your car, your computer or a wall adaptor. Size and style aren’t important for everyone, but for some, it could be the most crucial consideration. Some people feel that vaping is a statement, which means you'll need to find the perfect pen to match your personal brand. Today, vaporizers are getting increasingly sleek as the technology advances at a breakneck pace. No longer do vape pens need a giant battery cartridge to maintain the charge. New pens are much more refined than their predecessors. There are vape pens on the market today which easily hide in the palm of your hand, slip into your back pocket or tuck inside your purse. The color schemes have also gotten increasingly sophisticated with blacks and metallics still as the most sought-after looks. Although we focused on refillable vape pens here, there are other options on the market. You can buy entirely disposable pens as well as disposable cartridges. Refillables are better for the environment, and if you prefer concentrates, refillables are the only option out there. However, refillable cartridges can be messy and a hassle, which is why there is a large demand for disposable vape pens. They are usually much cheaper (in the short term) and a great way to introduce yourself to vaping. After a while, you'll want to invest in better and better pens. But it never hurts to get your foot in the door with the cheapest option. Before using any CBD oil in your pen, first, make sure your pen supports that format. Concentrate pens only work with concentrates and extractions. E-juice pens, obviously, only work with specialized CBD juice formulations. There are, of course, some pens which worth with both. If you have the juice style, you can quickly remove the chamber, and use the bottle's dispenser to refill with your new CBD e-juice. If you have a concentrate pen, open the chamber which contains the coils and dust the heating element with isolates or another pure CBD extraction. Don’t forget; you can also mix CBD oil (or juice) with a potent THC concentrate to help mellow out the experience. Despite the dramatic news reports of people’s vape pens exploding in their faces, this is an extremely rare issue. Typically, these issues stem from cheap brands or knock-offs produced in China. The primary concern with CBD vape oil is not the action of vaping or the CBD. The concern is about the other ingredients which might be lurking in the CBD concentrate or e-juice. An untested CBD concentrate may have contamination from the concentrate solutions (butane, ethanol, etc.) or it may even still have pesticides from the cultivation. Make sure you purchase concentrates with lab results clearly listed. E-juice, even CBD e-juices, is a widely unregulated market. Some products contain banned substances or substances that are proven toxic. Be on the lookout for diacetyl in particular. In this wild world of cannabis products, it’s hard to tell who is the expert. There are as many companies selling CBD products today as there are strains of cannabis. The choices are endless, but who can you trust? It's hard to find any information out there on quality vaping products because the field is littered with sponsored advertising. Not everyone claiming to be a CBD expert is upfront about their company ties, making it difficult for consumers like us to get quality information. 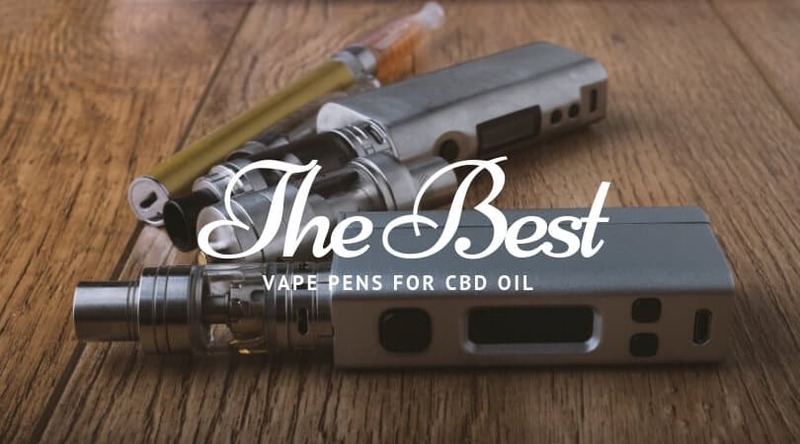 However, we’ve taken the time to dig in deep into the resources and uncover some of the best vape pens for CBD oil on the market. A direct-draw vaporizer with tons of extra add-ons as you get more comfortable in the world of vaping CBD oil. The Kangertech Subvod is perfect for beginners, as it's easy to load and the battery is lithium ion battery is removable. This is a handy feature. Just in case your battery runs low while vaping, you can quickly swap out for a fully recharged one. Despite its relatively small size, coming it at six inches, it still has a 4.5 ml capacity. The Kanger pen also allows users to totally control temperature, letting you determine just how hot you need it, dependant on your vape liquid. As many experienced vapers will tell you, finding the perfect temperature for your favorite CBD product can take a bit of experimentation. The Kanger has a 7-watt to a 50-watt range, essential to perfecting the vape experience. Loaded with feature and screaming of quality, it's easy to see why the Kanger is the best CBD vape pen. For those looking for a classier, sexier vape experience, Randy’s has developed a gentleman's CBD vape pen focused on concentrates. Put your CBD juice aside because this pen is developed for dabs, waxes, and shatters. It is arguably the next level in vaping technology, the adult version if you will. Randy’s Pilot comes with many removable features, including an innovative open glass dab attachment, and a more traditional chamber. Because it's designed to get the most out of your concentrates, the temperature of this pen can reach upwards of 840 F°. Which, if you know anything about dabs, is incredible for a handheld and battery powered device. Plus, instead of fumbling around with removable batteries, it instead relies on a USB charger. The G-Pen is another great concentrate vape pen, and much more discreet than other models. For anyone concerned with the high visibility of some of the other vape pens on the market, the G-Pen fits perfectly into the palm of your hand and doesn’t attract unwanted attention. The kit comes with a variety of tips, which screw in between the battery and the mouthpiece. Unlike other models, there is no visible glass chamber, making this a perfect product to use more publically. The atomizer quickly heats up the element, producing potent medicinal vapors in seconds. It helpfully comes with a dabber on a keychain, which is helpful when traveling and for those who are a little more forgetful. Because of its size, and features, it's a great traveling vape pen, although for some it might be small enough it's also easy to lose. Vape pens often rely on coil atomizers, and if you’ve been vaping for a while, you’ll know that coils can often lead to problems. Thankfully, the R-Series relies entirely on a ceramic atomizer, avoiding many of the most common vape pen issues. Despite the innovative lava-quartz atomizer technology, the pen is a more traditional setup, including mouthpiece, atomizer, and battery. This setup will look a little more familiar to those used to more conventional pens. The R-Series reaches a standard temperature of 500 F within seconds and has a powerful 6500 Micro Amp Vari-Volt Battery. For those who judge vape pens based on their aesthetic alone, the R-Series comes in a number of colors, making sure to appeal to a broad audience. For those dedicated to smoking e-liquids instead of concentrates, the Aspire E-Liquid Pen has revolutionized the vaping experience. It’s another direct-draw product, with a maximum output of 4.2 volts. Although the vaporizer kit comes with a 2 ml tank, they are thoughtful enough to include a giant replaceable 5 ml replacement tank. It’s a very convenient feature for those on the go, who’d prefer not to refile e-juice while they travel. Plus, the replacement tank is actually made out of steel, which means you have much less chance of shattering the tank if you happen to drop the pen. Sometimes cannabis enthusiasts stick up their noses at vaping CBD juice instead of concentrates but Aspire offers a wide range of flavors and vape options to suit all tastes. What is the Pen for CBD? In our opinion, saving up to invest in a quality refillable vape pen is always preferred. While it costs way more upfront, it's going to save you tons of money over its lifespan. It also saves the environment from single-use, disposable vape pens. Plus, with refillable options, you can refill with CBD oil, THC oil, or some combination of the two. Also, we recommend a rechargeable option. Because it is good for the environment, and typically the charges last longer. If you want to use CBD, you need to get a vape pen made for oil. Oil concentrates are the most cost effective and can include a variety of flavors. Plan ahead on if you are going to be vaping CBD oil, shatter or wax. 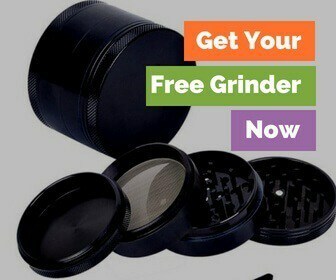 Get one with rechargeable batteries. And think about how important discretion is too you. What pen did you end up picking out? We'd love to hear about it in the comments section below!